I think this is a tremendous opportunity to capitalize on the critical mass of dance music bloggery & the impact some DJs can have when it comes to changing the culture. 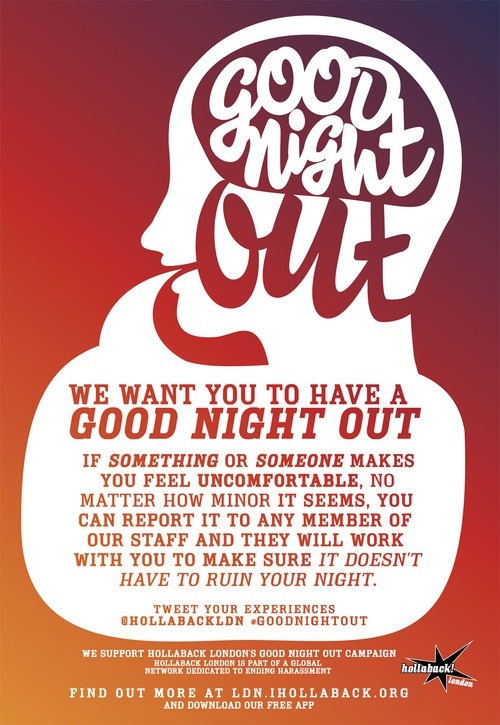 I would love to see NYC clubs do this as well. If even a tiny percentage of top name DJs refused to perform at events if there wasn’t a zero-tolerance policy against aggressive behavior & unwanted attention, this could snowball very quickly. Tell a friend. This entry was posted in News/Lolz and tagged Fabric, FACT, Harassment, Hollaback Network, Ministry of Sound, Privilege. Bookmark the permalink.